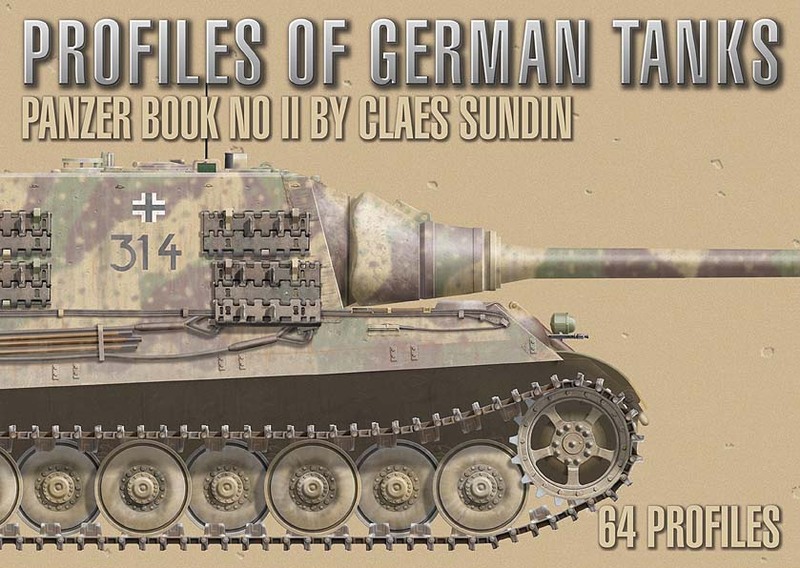 - 70 full color pages with 64 profiles of Panzer IIIs, Panzer IVs, Sturmgeschütz III and IV, Jagdpanzer IV:s, Jagdpanthers, Jagdtigers, Tigers and Panthers. - A brief chapter about the history of the panzer arm and the panzer types included in the book. If you are interested in this, my new Panzer book No II, just contact me and leave your name and shipping address. I will then file you as a pre-order customer and send you all the information you will need for the payment.